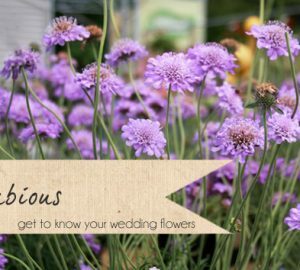 On this week’s Get To Know Your Wedding Flowers, Karen Morgan of Passion for Flowers talks all about Blue Muscari or Grape Hyacinths as you may now them. 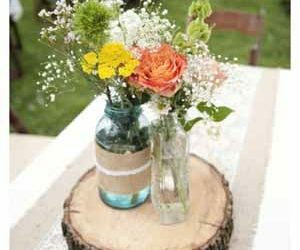 These gorgeous spring blooms are perfect for adding a touch of blue to your wedding flowers. 1. What season are blue muscari available in? Blue Muscari or Grape Hyacinths are available January through to June, but most readily available February to April, perfect if you are looking to add some colour to your Spring wedding. 2. 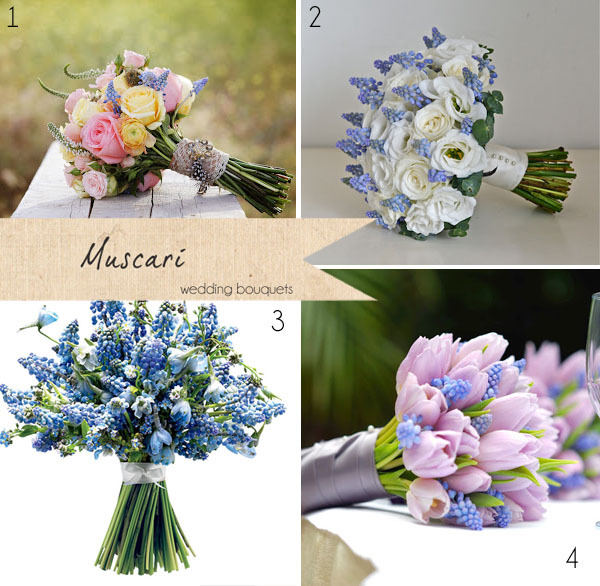 Would blue muscari look good in a bridal bouquet? 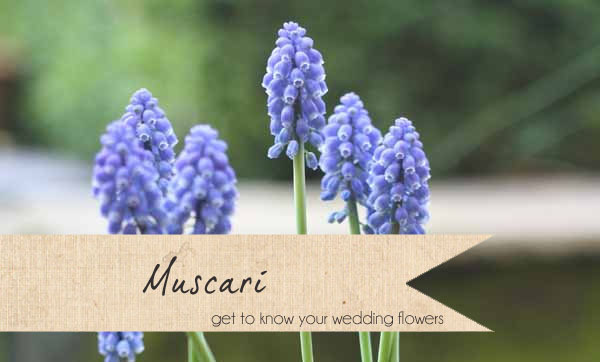 For a spring bride muscari can offer that something blue . 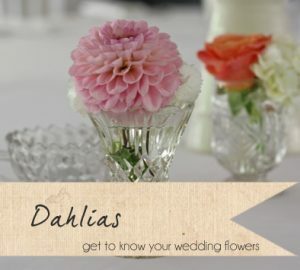 They are perfect for hand tied posies and mix well with tulips and ranunculus for a spring bouquet. You may wish to have a whole bouquet of blue tones or for a more subtle hint of blue, muscari mix well with white tones. 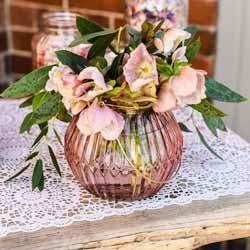 Depending on your style you could add purples and lilacs or a whole mix of colours. 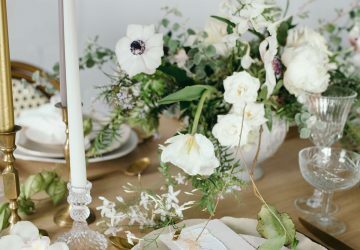 How can blue muscari be used as table centre pieces? Muscari look delicate in glass bottles using only single stems. 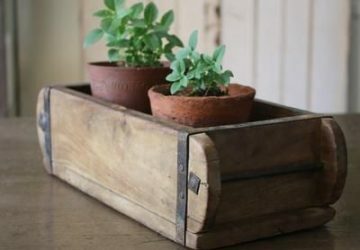 Pot them up on their own as blubs finish with moss and use in terracotta pots as your table centres. 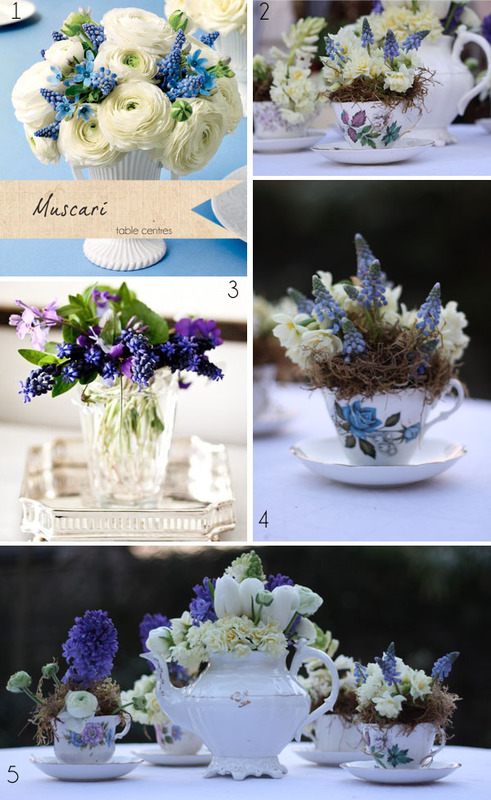 Muscari look gorgeous in china tea cups finished with moss and combined with other spring flowers such as narcissi. 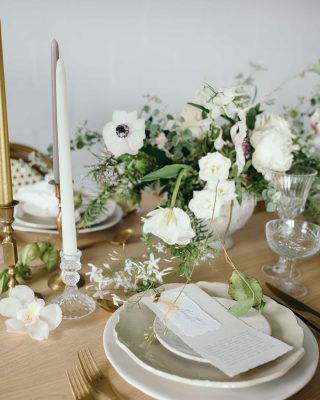 Mix muscari with other spring flowers white hellebores, ranunulus or tulips for delicate spring table centre pieces. 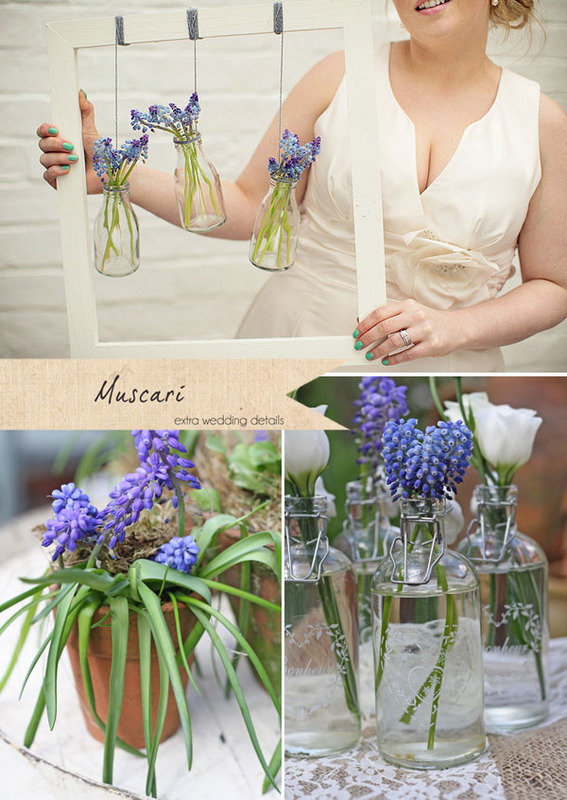 Where else can I use blue muscari at my wedding? and around the room, or hang bottles filled with blue muscari from trees. What other colours do muscari come in? 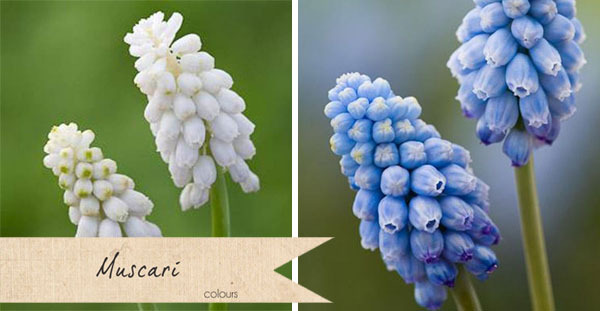 Muscari or grape hyacinths also come in white and a violet blue. 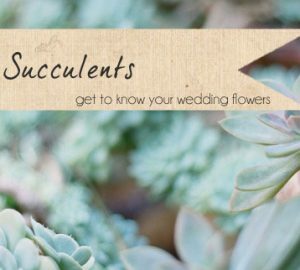 Do you have any conditioning tips for blue muscari is a bride was to use them herself? 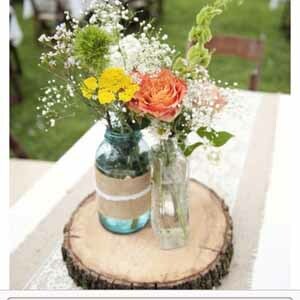 Always re-cut the stems and stand in clean fresh water. Add flower food or ideally bulb food. 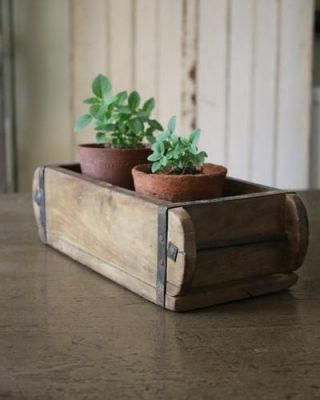 Keep in a cool place and take care of the delicate stems. Note:They do not like floral foam. memento of your wedding day. Ah, muscari are some of my very favourites for in the garden and decorating – so glad someone else loves them too! Pinned some of these lovely photos – thank you!